True joy and thanksgiving only come through a relationship with Jesus, God’s Son and the Savior of the World. Will you join me each Wednesday of December for a special advent series as we walk through the Greatest Story ever told? 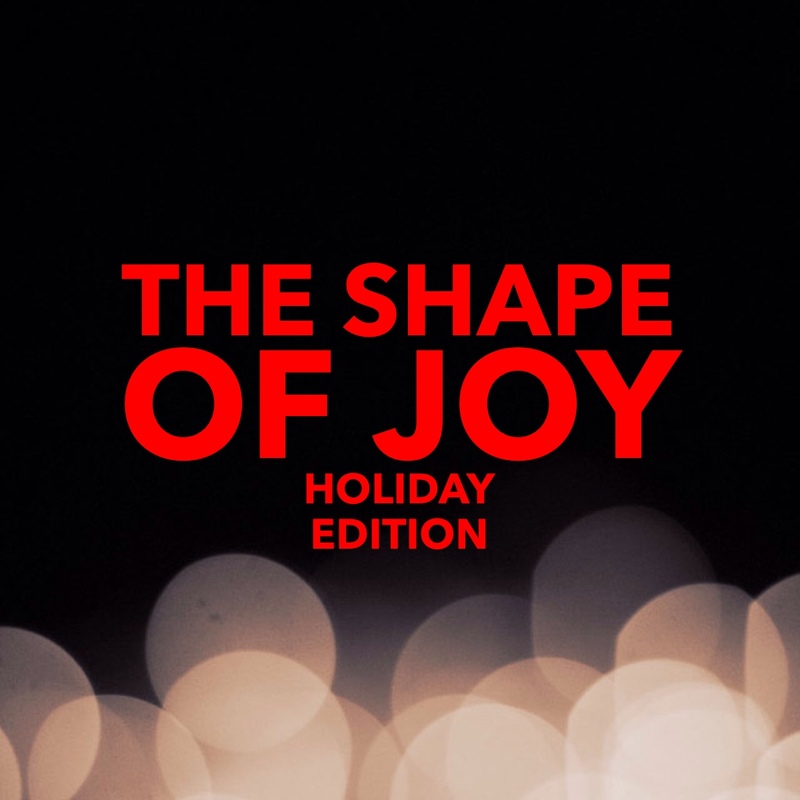 One of our assignments was to think about the shape of joy. You know, if joy took a physical form, what would it look like? As we move into the holiday season – the whole bundle of Thanksgiving, Christmas, and New Year’s is my absolute favorite time of the year – I’ve been thinking back to this assignment. What does joy look like this time of the year? Why do I find such excitement during the most wonderful – and most busy – time of the year? The smells of cinnamon, pumpkin, nutmeg, pies and breads, crisp fall air, fireplaces, leaves burning. The sounds of leaves crunching, wind blowing, fires crackling, bells ringing, carolers singing. The tastes of sweet pumpkin pie with whipped cream, tart cranberry sauce, peppermint mochas, roasted sweet potatoes, buttered rolls. The sights of orange pumpkins and red and yellow leaves giving way to colorful twinkling Christmas lights and evergreen Christmas trees giving way to a barren landscape and clean houses for the New Year. The feel of flannel pajamas, warm drinks going down the throat, cold snow, scarves, winter boots, warm coats. I am tempted to be so busy attending rehearsals, buying and wrapping and baking gifts, and trying to cram in one more event that sometimes I miss the beauty in the season. You know, all the things we say we love about this time of the year but are too busy to take the time to savor. Although the leaves are almost gone, the grass is turning brown, and the air is cold and crisp, winter is a time of preparation, of resting and getting ready for spring. I don’t want to miss all the wonderful things of the season because I am trying to cram in one more item on my to-do list. Let’s agree that, even though Thanksgiving/Christmas/New Year’s naturally brings a lot of busyness, we will slow down for just a few minutes each day to take the season in with all our senses. We might just find something in which to delight. 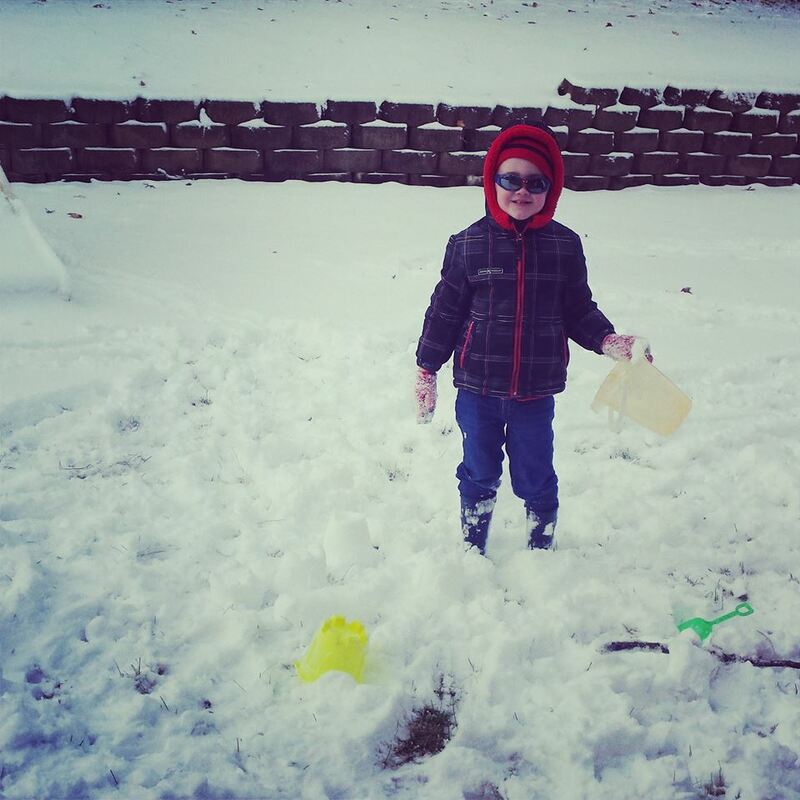 What we’ve been doing: This week, we had a snow day and were able to really enjoy some of our favorite things – playing in the snow, drinking hot chocolate with marshmallows, watching Christmas movies, and playing board games. It’s a snow day tradition! Facebook is covered up with people who hate the idea of stores being open on Thanksgiving day and others sharing links to sales and coupons for Thanksgiving and Black Friday. Some are posting TV schedules for Christmas movies, others are upset that anyone is even talking about Christmas yet. We are definitely an opinionated people. Thanksgiving is not one day out of the year when we stress about turkey and side dishes and making a meal straight out of the pages of Southern Living, but a lifestyle to be lived all year long. The years that I have enjoyed November and December the most are the years that I stressed less and intentionally chose to enjoy more. beautiful sunshine reflecting on the leaves in the yard. the sounds of a three-year-old boy playing in the next room. the smell of an apple pie candle. the promise of afternoon coffee. What about you? Can you find the “shiny things” around you today? We chose not to teach our three-year-old the “Now I lay me down to sleep” and “God is great, God is good” prayers at bedtime and at meals. Don’t get me wrong – I learned those as a child, and I think there are some important truths found in both of them. We decided that it is best for him to learn at a very young age to use his own words when talking to God. Thank you God for all our blessings. Amen. I am overwhelmed when I think about all the good things God has given me – things I don’t deserve, things I didn’t earn, things that could easily have gone to someone else. I want to be reminded each day to thank God for ALL my blessings. I think it would be great to start a chain of gratitude in the comments. What blessings are you most thankful for today? We are continuing “Celebrating Holidays at the Cafe” today! Grab a cup of coffee, take a break from the turkey preparations, and join us! This morning, my husband and I will head south to the small town of Orlinda, Tennessee for our family celebration. Yes, I spelled that correctly. O-R-L-I-N-D-A. I promise that it’s nothing like that place in Florida where Mickey lives. Anyway, we’ll head south to Tennessee (which my husband refers to as “the Promised Land”), where we look forward to a traditional Thanksgiving dinner with our extended family. It’s not elaborate, but it’s good, and definitely something for which we are thankful. 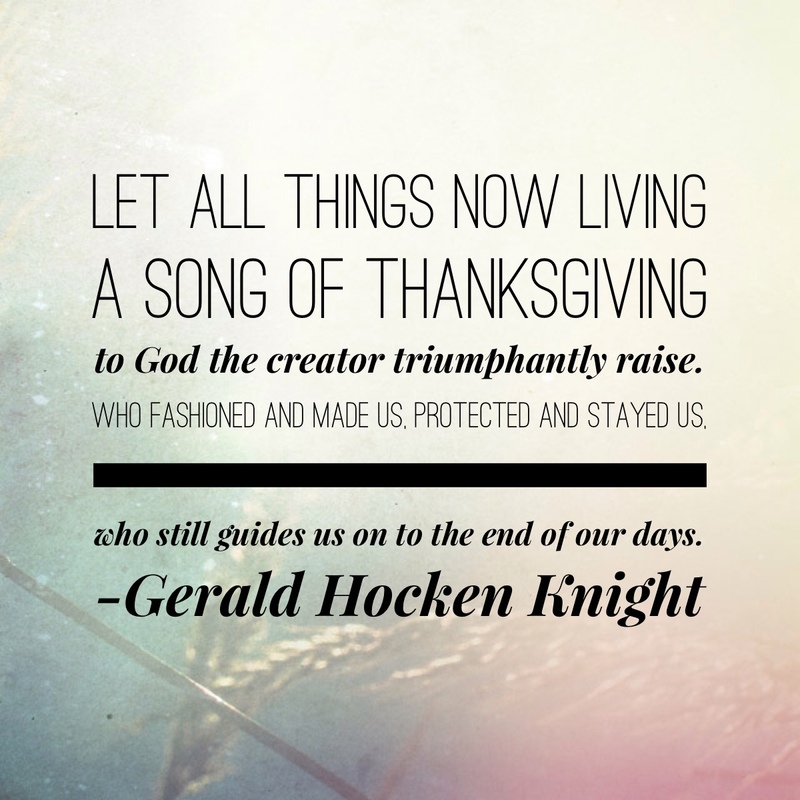 We are certainly thankful this year for the big things in life – family, friends, health, our home, our work. We never want to take these things for granted, and we know that each one is a special gift from God. I am also thankful for many of the “little” pleasures of life – hot coffee, baked apple pie candles, good music, a great book, fuzzy socks, and flannel pj’s.